Your North Carolina Expert for installing Lennox® High Efficiency Air Conditioners. 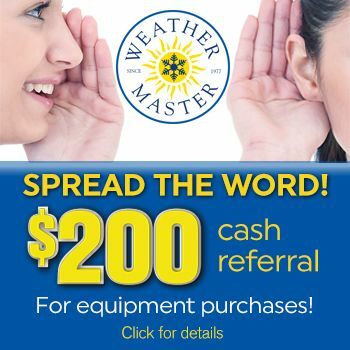 At Weather Master, one of our Comfort Specialists will evaluate your home, your comfort preferences, your budget, and address issues like allergies and indoor air quality when determining which air conditioner is the best match for your Raleigh area home and lifestyle. Lennox® Premier Dealer – Expect the Best! Lennox is widely recognized as a top name in home cooling and heating. Lennox central air conditioners feature advanced technology to deliver superior comfort and impressive energy savings. As a Lennox Premier Dealer, you can rest assured you are getting the most reliable and efficient air conditioner backed by Weather Master’s over 40 years of home cooling expertise. Weather Master offers a complete line of energy efficient Lennox air conditioners, furnaces, air filtration systems, humidifiers and dehumidifiers for creating the ultimate home comfort systems. You'll save hundreds of dollars on energy bills and be comfortable all summer long. The revolutionary Signature® Collection air conditioner is the most quiet and energy efficient central air conditioner you can buy. The Elite Series XC16 provides ideal home comfort with the added benefit of lower utility bills. That’s because the XC16 is equipped with two levels of cooling for a higher level of efficiency and comfort. With its two-stage design, the XC16 distinguishes between mild and extremely hot days, using only the energy necessary to keep you comfortable. Lennox Merit® Series 14ACX is the ideal cooling solution for Raleigh area homeowners who want reliable performance, budget-friendly affordability and money-saving energy efficiency. What makes the 14ACX even better is the enhanced humidity control that comes with the optional addition of our exclusive Humiditrol® whole-home dehumidification system. You’ll enjoy ideal comfort in every room of your Raleigh area home, without the worry of high utility bills. The 14ACX, like every product Lennox manufacturers, is designed for exceptional durability inside and out! For more on air conditioners or any of our other HVAC products and services, please contact us today. Don’t forget to ask us about our exclusive 100% Satisfaction Guarantee!